Writ is been filed under Section 44AB, 139, 119 of Income Tax Act, 1961 and will be heard by Hon’ble Shri Justice M.S. Sanklecha and Hon’ble Shri Justice G. S. Kulkarni. Advocate Rahul K. Hakani will be attending on behalf of Petitioner The Chamber of Tax Consultants. Update on 22.09.2015- Law and Representation Committee of The Chamber of Tax Consultants under the guidance of Dr K. Shivram has filed Writ Petition for extension of Date of Filing of Audit Report and Income Tax Return (ITR). Hearing for the writ will take place today i.e on 23.09.2015 at 03.00 PM in Court Room No. 06. Update on 23.09.2015- After Hearing case been adjourned to 29.09.2015 for further hearing. Update on 29.09.2015- High Court ruled that if CBDT don’t respond to Instruction of other High Court by tomorrow (30.09.2015) than they will hear it tomorrow (30.09.2015) at 3 pm. Court further ruled that if a High Court rules under article 226, same would be binding on all High Courts of the country. 30.09.2015- Bombay High Court Instructed CBDT to extend due date to 31.10.2015. Download Full text of the Operative Judgment. thanks Mr.sandeep for your efforts and updates god bless you. Thanks for all who joined hands for a cause this shows UNITY IS STRENGTH . sir please tell me about the date of e-filing in tax audit report submit was extend or not. Can we file P. I. L. in supreme court against CBDT, for dividing One India in to different States. Sir, please show some patience and calmness. We are here for imparting knowledge and not to fight with anyone. Further we are not afraid of raising he genuine demand of the profession with any authority but at the same time we do not encourage use of unconstitutional language . All comments up to 9.30 Pm were approved yesterday and rest were in moderation which are getting approved now. Reason for moderation is to serve our readers better and to not allow spam comments to get published on the website. CBDT ne high court ke orders tak ko Majak bana Liya hai. jiska raja vyapari uski praja bhikhari.why cbdt is harrasing people & C.A.AS WELL AS ACCOUNTANTS ? PEHLE C.A.BANANE KELIYE JAKH MARI KARO.HOLI DIWALI SUB BIGADO BAD ME PRACTICE ME ANEKE BAD SUCH TYPE OF HITLERS SE SAMBANDH NIBHAO OR APNI PERSONAL LIFE BIGADO.SUGAR AUR B.P.BADHAO. OUR P.M.IS BUSY TO ATTRACTIN FOREIGN PEOPLE TO INVEST IN INDIA.BUT FAILED TO SATISFY THE GENUILEN DEMAND OF THE HOME PEOPLE. ASMAN SE GIRE AUR KHAJURI PE LATKE. IT IS SAME FULL DAY FOR CBDT AS WELL AS FINANCE MINISTRY FOR THEY HAVE NOT FAITH ON TAX PAYERS. WHETHER ANY DECISION OF ANY HIGH COURT NOT BINDING ON WHOLE INDIA. The high handedness by the Babudom / govt at its best. This BJP Govt was supposed to be do away from tax terrorism. But Alas it continues. Every year 30th September is the deadline to file the returns of the companies and file tax audit returns along with Report. Non-filing of returns can result into the losses not getting carried forward and max penalty of Rs. 1 lakhs for late filing of audit report . Every year Central Board of Direct Taxes (CBDT) has to issue the forms before start of the year but this year the forms came too late. Most CA’s represented to CBDT to do an extension but it was rejected by CBDT. So cases were filed in Punjab, Gujarat, Calcutta, Karnataka, Bombay, Orrisa, etc. Yesterday Gujarat and Punjab High Court gave the judgment that the date should be extended on the basic principle that there is delay from CBDT in taking out form and similalry the filing date should be extended. So now CBDT was under pressure that if does not comply it will be contempt of Court So What does CBDT do? CBDT extends date only in Punjab, Haryana, UT of Chandigarh and Gujarat . It simply means we are Kings of this Direct Tax Domain So Forget the Basic Principle, we shall only save ourselves from Contempt but our diktat shall continue to rest of India. Where in the World will such a thing happen????? IT HAPPENS ONLY IN INDIA WHERE A LEARNED C.A.BECOMES A RAILWAY MINISTER & ADVOCATE BECOMES A FM. YAHAN TO AISA HAI LI ANDHA GURU BEHRA CHELA DONO NARK ME THELAM THELA. & HISTORY SAYS WHEN ANY DECISION HAS BEEN TAKEN INSTANTLY IN OUR COUNTRY ?. WHEATHER MATTER MAY BE A EXTENTION DATE OF MAY BE ABOUT DECISION FOR RESCUE OF OUR PEOPLE FROM THE INCIDENTS OF TAJ HOTEL TERRIORISM OR TO GIVE PUNSHIMENT TO AJMAL KASAB ? OUR POLITIONS ARE BUSY IN SHOW OFF. IF OUR PM OR FM CLEARS 4 TO 5 FILES IN MONTH OF NAY MATTER THAN IT BECOMES A MEDIA NEWS BUT WE ARE DOING THE SAME IN A DAY. CBDT ARGUES THAT THERE IS ONE COLUMN IS ADDED IN ITR BUT WHY THEY ARE FORGETTING THAT FOR ADDING ONE COLUMN IN ITR,WHY OTHER COLUMN HAD KEPT ON HOLD FOR 120 DAYS. IF IT IS SO THEY HAD EITHER INTRODUCE A NEW FORM OR IT HAD BEEN DECLARED IN THE MONTH OF MARCH 15 ONLY. Our FM is a well known lawyer; yet, there has been a gross contempt of the orders of the various High Courts. Infact, by ignoring order of Orissa High Court, CBDT bosses have shown high handedness. The Hon’ble Bombay High Court has ruled that an order passed by any High Court in the Country is binding on all High Courts. I have read the order of the Hon’ble Punjab & Haryana High Court and it does not in any para direct the CBDT to extend due date only for Punjab & Haryana. I also fail to understand under what provision of Income Tax Act has the CBDT chosen to be selective and discriminatory in extending due dates. Area wise extensions are specifically given in case of situations of natural calamities, as has been done in the past. However, only because High Courts of certain states have passed orders in favour of petitioners, does that allow discriminatory extension? Further, if this is viewed in conjunction with the views of the Bombay High Court and considering the fact the context of petitions filed for extension all over India was the same, extension should have been for entire country and not selective. The official responsible for this should be held guilty and be penalized irrespective of position held for not enforcing the judgement order passed by Hon`ble Bombay High Court which is quite clear in terms . it is pure that this Government is Hilter government.Where is our Finance minster.I Think FM is busy in Bhiar election. I think last government is better than this government. government not having control on department. It is good joke that department given extension to only few states. I am practicing from last 10 years but this type of attitude of department I had never seen. If no extension from department for all states then no extension for this government after 4 years. true friend..he had time to attend meeting for BCCI in Mumbai.. In the present scenario it seems that motto of the CBDT has shifted to MAXIMUM HARASSMENT to the CAs & Tax Payers irrespective of volume of Tax collection. what we can do about audit report uploading ? Regional Board of Direct Taxes. whether all we get extension up to 31.10.2015 as bombay declares under article 226. Update on 29.09.2015- High Court ruled that if CBDT don’t respond to Instruction of other High Court by tomorrow (30.09.2015) than they will hear it tomorrow (30.09.2015) at 3 pm.Court further ruled that if a High Court rules under article 226, same would be binding on all High Courts of the country. 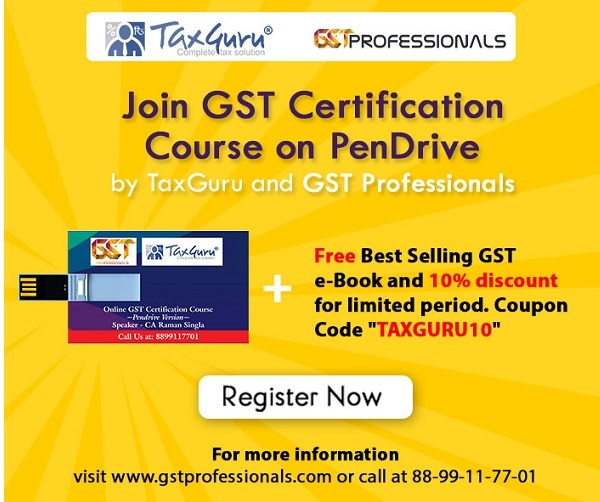 – See more at: https://taxguru.in/income-tax/writ-bombay-high-extension-taritr-due-date.html#sthash.7cl6L2M4.dpuf. ab kya 01.10.2015 ko date badhayenge ??????? Any update on Bombay High Court Writ? ANY UPDATE ON BOMBAY H.C. WRIT? Agree, a writ should be filed to sack that woman… People have died and she says none of my business. It is a joke that ppl of every state had to file separate writ in each HC. So much wastage of time and money. Bombay HC should levy a penalty on the department to the extent of penalty for non filing tax audit report. Any update on the Bombay high court hearing at 3.00 pm on 30th Sept? As CBDT has acted mischievously Bombay high court will have to give its verdict. taxpayers are the backbone of our economy if the attitude of CBDT does not open its mind on the tax payers than the economy will suffer and honest tax payer will to become dishonest. Irequest CBDT to be flexible and it will give results. As a CMA and a Tax Consultant. I have to regretfully inform you that all the Acts governing the collection of tax from public along with system designed to collect taxes have been formed within a constitutional premise i.e. maximum tax collection through minimum recourse. But it should also include i.e. “minimum harassment of assesses”. All of system of tax collection is cost centres but “The assessed Public” is only one revenue generating centre. All the cost centres should must run on time. But all the cost centres of revenue is compelling, hrashing, any how teasing the revenue generating public and applying all those power to tease public. ITR lV should be uploaded in April 2015 but CBDT applied its power in its favour and uploaded after too much delay. Bur now the same institution is applying its power against the assesses. This action may generate some more revenue for Central Gov’t . But CBDT should remember that it has not been enacted to collect penalty. If the date U/s 44AB so not get extended it will be activity wntended to harsh the Assesses. CBDT should understand the problems of practicing CA. Also updates from govt. also coming very late and includes many compliances. I hope to get relief and extension. If they do not give than I have to tell PM sir that NO ACHHE DIN FOR COMMON MAN; IN PAST AND IN PRESENT TOO.. I Agree,. I think Bureaucracy has overtaken the political leadership of Modi… If it continues, Modi will have to face a tough time to bring Achhe Din…. kya hoga jab apna sikka hi khota ho ( ICAI )………. every C A should go for no filling of tax audit on income tax site.this a huge joke with indain tax payer.i think CDBT decision is cutting of Golden Hens (tax payers)from every side. the case should have been adjourned to 1.10.2015 for further hearing …… justice delayed is justice denied.